GDrive requires several steps to configure. You first need to make a project. My example calls this CrushFTP-Test. 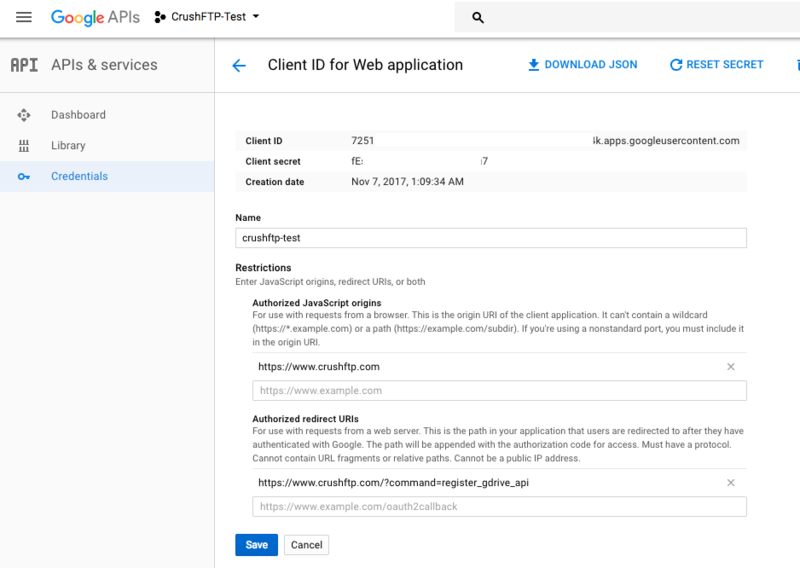 Next select create credentials, and choose the Web Application type. It will warn you if you don't have an "OAuth Consent" screen configured, so go there and configure that screen too. 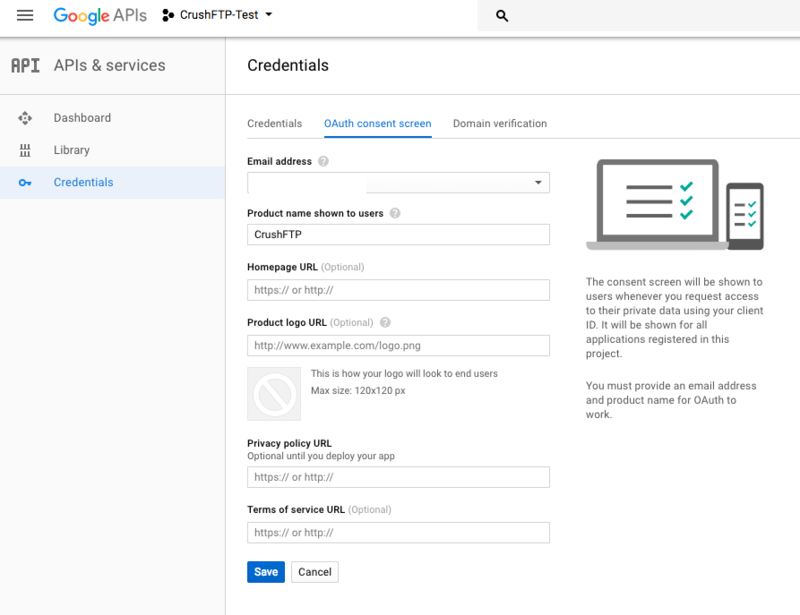 When configuring the credential, you have to tell Google the domain you will be originating from when creating the auth token, so this is the URL you use for server administration. Just the protocol://dns_or_ip:port Don't have a trailing slash or it will complain. 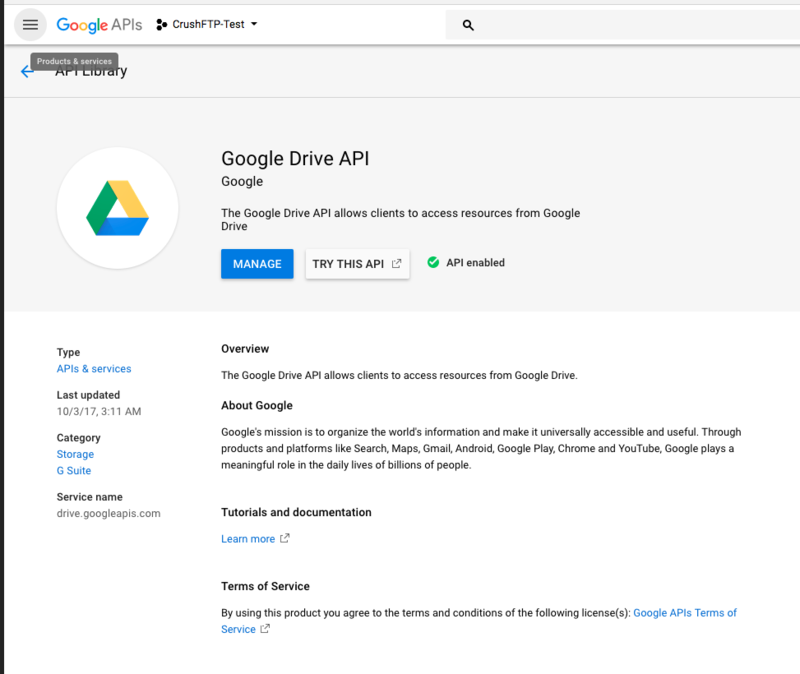 And one last important step, you need to enable the GoogleDrive API for your account fi its not already. 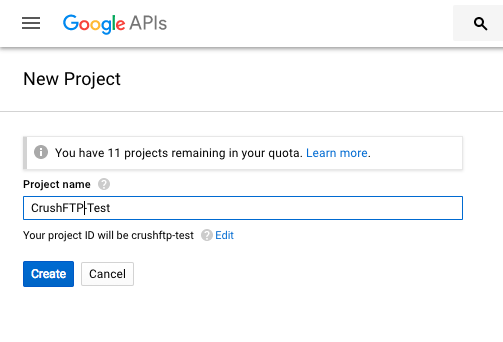 Now that the API is enabled, and your credentials are setup, and your redirect domains are configured, you can use the credentials in CrushFTP to get your google auth token and get access. 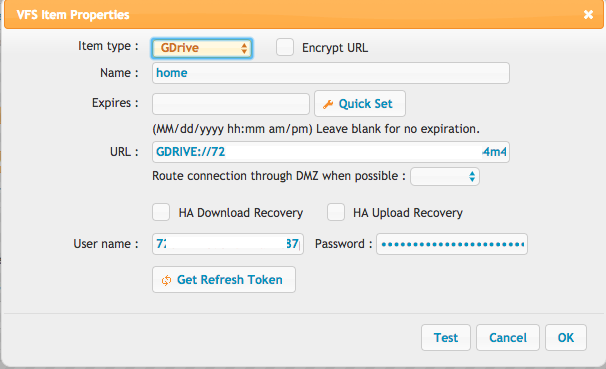 In the User Manager, add a new remote VFS item type and set the protocol to be "GDrive". That whole long garbage string becomes your "username" to GDrive://. Copy and paste it into the user field. Then click "Get Refresh Token" to finish the config.